The slow speed granulators in the A range are direct-driven and designed for quick and easy cleaning and maintenance. They generate low noise levels and minimal dust when grinding thin-walled materials. 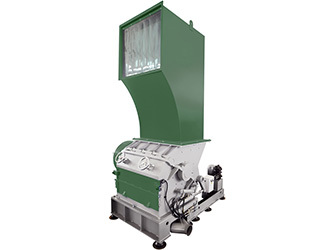 The machines can be used for rejected products in the inline recycling process as well. Different hopper and base frame designs make it possible to integrate the machine with most types of recycling operations. 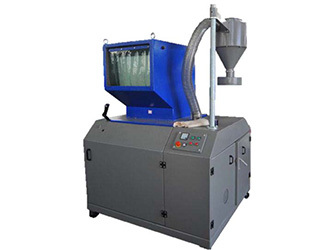 The C series compact soundproofed machines are mainly used in inline ope rations or as central granulators for processing of hollow thin-walled products, such as biomass from wood, grasses, coconuts and other vegetation, etc. The integrated soundproofing makes it possible to easily place the machine in existing operations. With different rotor designs and a wide variety of options the machines can be tailored for many different applications. 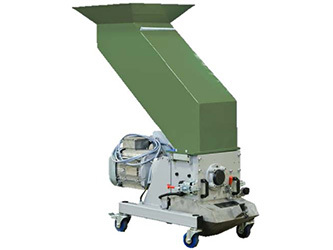 The E series of machines are designed as economical granulators for use in in-house recycling. The cutting geometry of the E series makes it ideal for the grinding of small thin-walled hollow parts. The complete E granulator line achieves a high quality regrind independent of the material type or form such as wood, coconuts, grasses, paper and cardboard, etc. The wide range of rotors and hopper styles allow the H machines to be tailored to almost every application in the biomass recycling field. 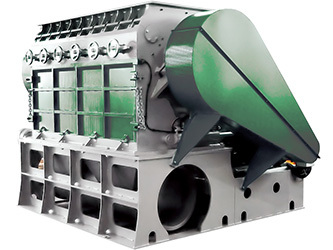 The H heavy-duty granulators are mainly used as central granulators for in-house recycling applications to process thick-walled parts in one step or as a second step granulator after a shredder to reach higher throughput rates.